Royals pitcher Wade Davis during a game against the Twins in May. Davis was traded to the Chicago Cubs in a deal for outfielder Jorge Soler. NATIONAL HARBOR, Md. — No pitcher in baseball history has gotten the final out of the World Series for two different teams. 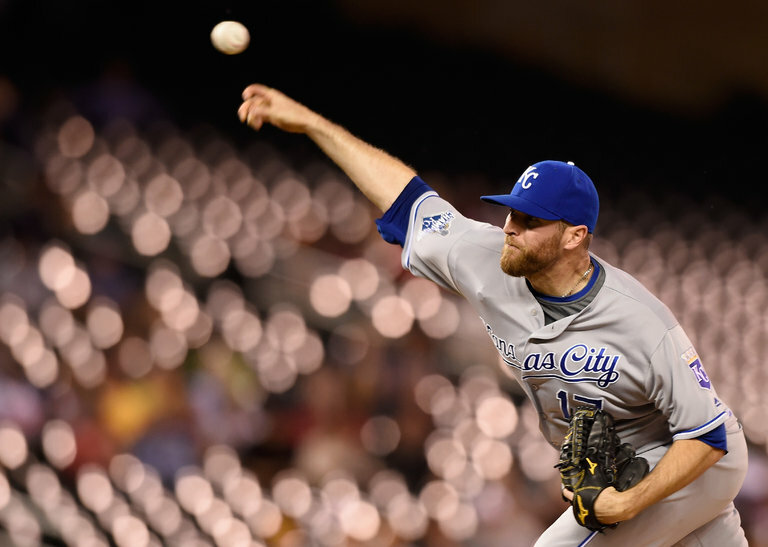 Wade Davis closed out the 2015 championship for the Kansas City Royals. In the master plan of the Chicago Cubs, he will soon do the same for them. The seventh month, often so cruel to the Cubs, was glorious in 2016. Even when their closer, Aroldis Chapman, blew a save opportunity in Game 7 of the World Series in Cleveland, the Cubs fought back to win in 10 innings. After going 108 years between championships, they want to stay on top for a while. Sports Etiquette? Ha! Brazilian Fans Just Want to Have Fun.